Since your business has managed to see the light of the day, with you all prepared to sow in the seeds extensively in order to harvest a bumper crop of all your efforts & endeavors put in along a certain time frame, what follows next? As a natural consequence, you should aim to pitch & offer other business people whom you find relevant to your service(s) and/or product(s). Now, this carries a huge importance for your online business. The institutional & financial benefits simply outnumber the days of efforts put in. 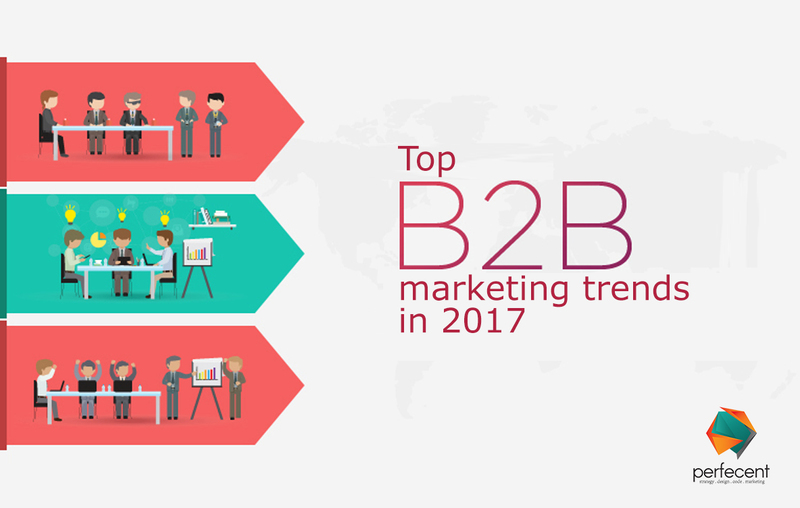 In the vicinity of B2C marketing, B2B marketing has emerged has a totally distinct entity with its own set of procedures to be followed & methodologies to be implemented based on client requirement. While B2C operation follows a semi-formal course of action, its counterpart can only be handled at a professional platform. The corporate tone is essential if bulk business is to be grabbed & sustained for longer periods. B2B marketing rules are perhaps the most unstable type of commodity that defines & continually redefines its sets of principles. Talking of the current year, let’s look at some of the latest trends being utilized to cling onto businesses on corporate level. The year Twenty Seventeen has witnessed some remarkable developments with respect to corporate marketing which are trend setting and may well be the game changer for your business. Communication on Individual Basis: This is the foremost one; using “I” instead of “We” in all communications at all levels. This transition is certainly going to pay off immensely. This shift is related to the fact that a person sitting at the entrepreneurial level would be more than pleased getting in touch with a company at the individual level. Without an iota of doubt the opposite party would love to talk to a live, breathing, thinking person rather than a non-breathing, unthoughtful company as a whole. Come to overhaul your B2B marketing strategies and you would do realize that sentiments beget sentiments. What Shows, Sells: This condition comes off as one of the basics of any type of marketing — you got to show it off to sell it off. Who in all worlds would not like to munch on exquisitely illustrated website with artistic patterns, appealing designs & attractive shades splashed across all web pages that your portal holds. Travelling back in time, this practice was common in B2C marketing chapter, but come 2017 & B2B is seen copying its elder version. Web content presented as stuff in black and white can, in no way, be comparable to the compelling effect of crisp graphics. What can’t be read & understood can be easily gone through via few colorful sketches. Doing it Smartly & Quickly: Living in a smart era calls for smart B2B marketing rather an emphasizing on brisk marketing techniques. What’s more, it’s time saving, swift responding & selling like hot beacons. Although this may sound & prove to be a prospect bit difficult, brisk inter-departmental actions within an organization can aid you doing it the smart way.